What is the first picture that comes to mind when you think of St. Patrick's Day? Something green? A wee leprechaun? Perhaps a beautiful rainbow? For me it is the picture of a field of shamrocks. As a child I remember picking clover from our backyard. I am not sure if clover and shamrocks are directly related. Nonetheless, they remind me of this Irish Holiday. Something green...like a sparkly green hat. A wee leprechaun, perhaps doing an Irish jig. A rainbow with a pot of gold. One of my grandmothers enjoyed making birthday cakes for all her grandchildren. 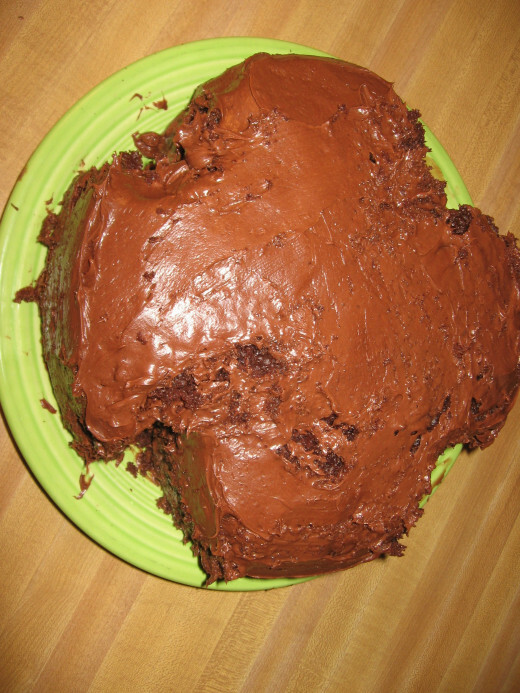 I had two favorites as a child: banana chocolate cake and peppermint chocolate cake. Yes, there is a theme: chocolate! During the beginning of our marriage, I wanted to start traditions before we had children. So, I combined our favorite recipes and created a family tradition book for holidays. But, I didn’t have any traditions for St. Patrick’s Day as my family didn’t celebrate it. I wanted to do something to make it special. What could be better than cake? 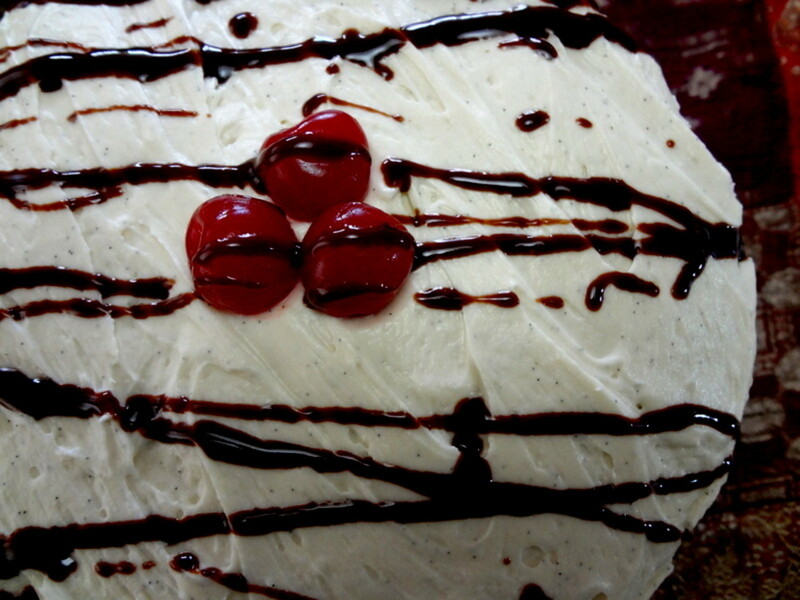 Thinking of cake, I remembered my Grandmother’s peppermint chocolate cake because she always dyed the frosting red. 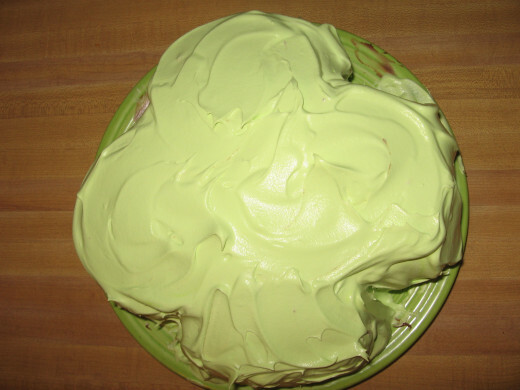 I thought I could make her cake, but dye the frosting green and then figure out a way to cut the two-layer cake into a shamrock, as I didn’t have a mold and didn’t wish to purchase one. 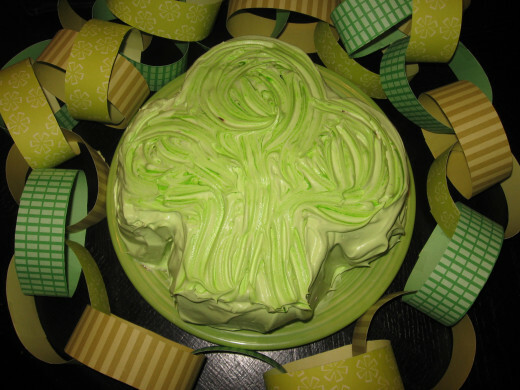 Needless to say, it was tricky to cut the cake into a shamrock and then frost it, but it turned out cute and yummy. And that is how I started a Shamrock Cake tradition for St. Patrick’s Day. Grandma's cake is delicious and actually tastes more moist and minty as it sits in the fridge, which means I can make it in advance. In fact, I make it a few days in advance. The hardest part is waiting to eat it. 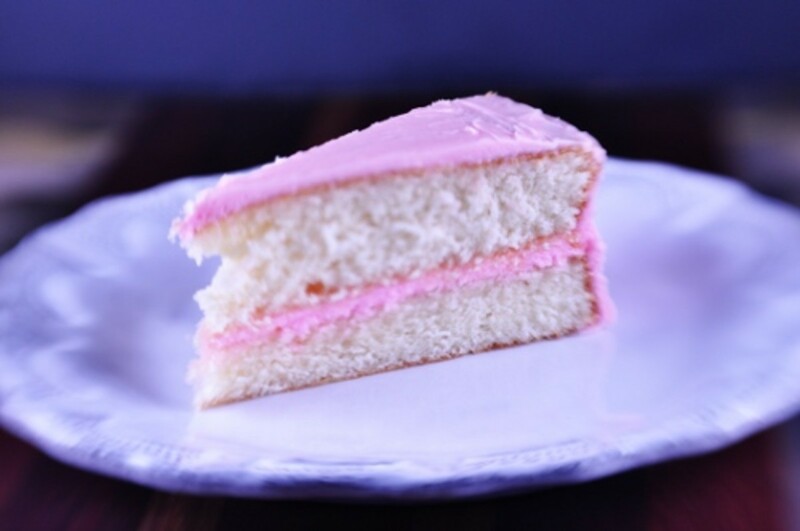 In a nutshell, this cake is a simple frosted two layer cake. After mixing the cake mix according to the package, add a few drops of mint extract and bake in two round nine inch pans. Meanwhile, mix the whipped topping with food coloring and mint extract for later. 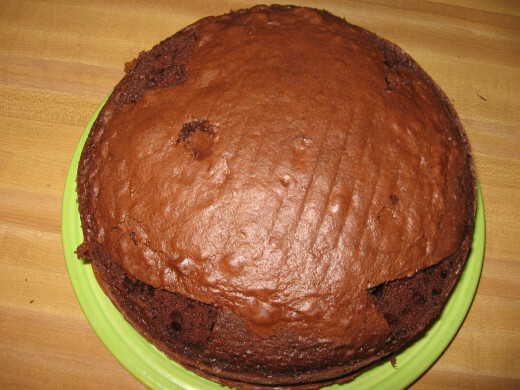 When the cake has cooled, place the rounded side down on a plate and frost generously with chocolate frosting. Add the second layer with the rounded side up. Carefully cut the cake into a shamrock as shown below. This is the design I typically make. However, you could make a four-leaf shamrock shape as well. No matter how it turns out, it will be green, chocolatey, minty and delicious. Your family will love it! Notice the crumbs! Remember, that's okay. You will cover it up with the whipped topping! Some of the frosting will come off and mix with crumbs, some will end up on the plate, and quite a bit will end up on your fingers. My Grandma taught me to take a damp paper towel, fold it and gently rub the sides of the plate. Refold the paper towel and use all the crisp edges to scrape the excess frosting away. Then no one will know you made a mess of the frosting! Frost again and put in the fridge until it's time to eat! Preheat oven to 350 degrees. 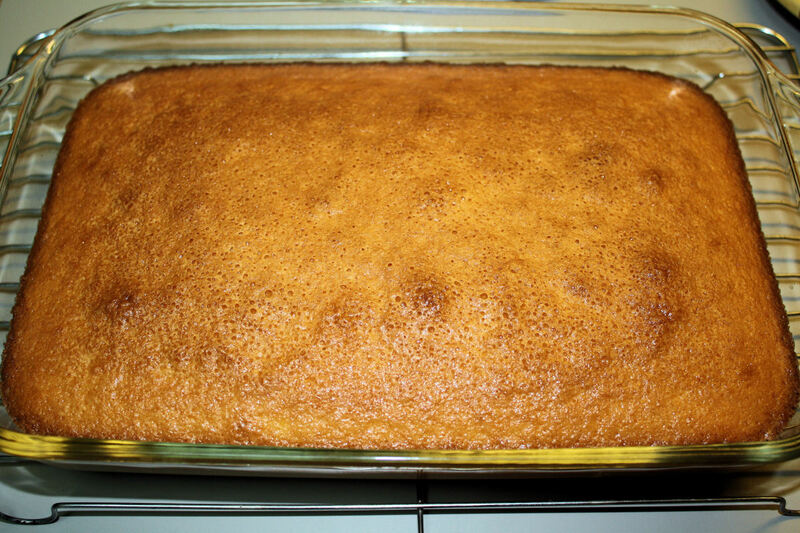 Prepare 2 cake pans with shortening and flour or nonstick spray. 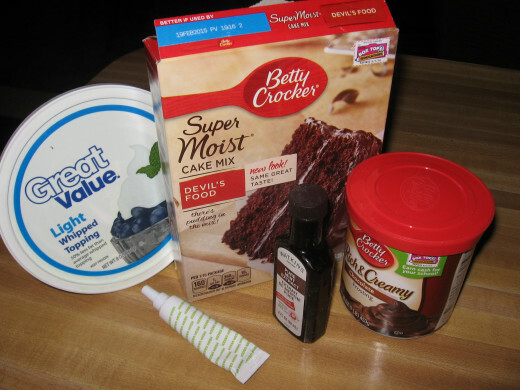 Follow cake mix directions but add 1/4-1/2 tsp peppermint extract. Pour evenly into 2 pans. Tap on counter to release air bubbles. Bake for time recommended on box (about 25-28 minutes). Cool in pans. Meanwhile, mix whipped topping, 1/2 tsp peppermint extract, and 10-20 drops food coloring. Adjust mint and coloring if needed. Put in refrigerator until ready to serve. Once cool, place one layer on plate. Frost the top generously with chocolate frosting. Top with second layer. Don’t frost yet. Using a knife, cut a shamrock shape gently on top first, then slowly cut through the cake (save the pieces for tasting). Carefully, frost the sides with remaining chocolate frosting. It is okay if you see crumbs, it will be covered with the mint topping. Frost top and sides with whipped topping. Place in fridge until ready to serve. Can be refrigerated for 1 week. Enjoy! This delicious, moist, and refreshing cake does not need to be limited to St. Patrick's Day. The whipped topping can be any color for any celebration! It could be baked in heart-shaped pans and dyed red for Valentine's Day or sprinkled with crushed candy canes for a lovely winter celebration. Enjoy! Thefedorows is a regular contributor to Hubpages, an avid pinner, and frequent blogger. Since publishing this hub, I have also published a hub on how to make your own boxed mixes. If you scroll down to the bottom of that hub, I have links to cake mixes. Thank you Susan and rainsanmartin! Even if you don't make it into a shamrock, it is still a very yummy and refreshing cake. Wow... This cake looks simply wonderful. Voted up and 5 stars. Great tradition idea and looks yummy!